PartsChase.com focuses on providing wholesale discounted laptops, notebooks and spare IT computer parts worldwide. 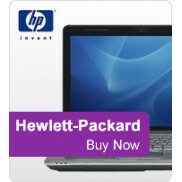 Our expert staff are very familiar with the computer laptop and notebook parts markeplace. We continuously expand our laptop and notebook product stock of "Hard-To-Find" IT parts through our partner distribution channels, so that we can keep up with our customers requirements. Today PartsChase is among the world's "Go-To" Computer Laptop and Notebook Distributor, Closeout Wholesale notebook and laptop Computers, Wholesale Computer notebook and laptop Parts, and Wholesale consumer electronic notebook and laptop equipment. By choosing PartsChase as your Computer notebook and laptop Reseller vendor, you are joining a reliable source of Wholesale notebook and laptop Computers, Wholesale notebook and laptop Computer Parts, and Wholesale notebook and laptop Electronics. Make PartsChase your Computer Supplier today. SpecificationsMfr Part Number: X3PLUS-CF1Processor: Intel Core i7-4860HQ Processor (2.4GHz Clock Spe..
SpecificationsMfr Part Number: X7V2-CF2Processor: Intel Core i7-4860HQ Processor (2.4GHz Clock Speed..
SpecificationsMfr Part Number: P34GV2-CF4Processor: Intel Core i7-4710HQ Processor (2.5GHz Clock Spe..
SpecificationsMfr Part Number: P35XV3-CF2Processor: Intel Core i7-4720HQ Processor (2.6GHz Clock Spe..
SpecificationsMfr Part Number: P35XV3-CF5Processor: Intel Core i7-4710HQ Processor (2.5GHz Clock Spe..
SpecificationsMfr Part Number: U21MD-CF1Processor: Intel Core i5-4200U Processor (1.6GHz Clock Speed..
SpecificationsMfr Part Number: K2L97UA#ABAProcessor: Intel Celeron N2840 Processor (2.16GHz Clock Sp..